I have to complain against DStv and Multichoice or Naspers or Whatchamacallit. The accountant in me always insists on a frugal lifestyle, one that is unburdened by unnecessary expenditure and in accordance with this I reserve the last few days of every month scrutinizing both my current and oncoming monthly bills looking for any sort of expenses that can be remotely called needless or fanciful. DStv charges used to come up frequently on that list with the usual dilemma of what to do. On one hand, their bills have been increasing on an annual basis for reasons best known to themselves. I seriously do not see how making me watch reruns of the Walking Dead translates to a $4 increase in my bouquet. On the other hand, I cannot miss the world-class sporting service from SuperSport. In the end, I decided to keep my subscription until the end of each English Premiership. There is seriously nothing I consider worth watching after this, not ever since my team made it their seasonal goal to exit the UEFA Champions league at the semi-final stage and UEFA decided to turn the Ballon d’Or into a Balloon d’Spain. I used to enjoy documentaries during the pre-seasons, but I am afraid that is no longer possible as someone somewhere in their wisdom decided to screen Storage Wars omnibuses on the History Channel! Why? I fail to see anything historical about the show which I absolutely loath, does anyone on this continent even watch this show? With its sincere scenes and an unimaginative name that is stylised Storage War$ you would be forgiven for mistaking it for a hip hop production. The only show worse than this is BET’s Real Husbands of Hollywood. I particularly resent how “reality” Television is slowly creeping and crowding out my usual entertainment staple of documentaries and actual fiction. Between Storage Wars and Pawn Stars, there is hardly anything historical left anymore on the History Channel. I am becoming apprehensive each day as shows like Highway Thru hell (a show about people towing cars, if I wanted to watch this I would go watch the Harare City council in action) continue to show on National Geographic and shows of people making fish ponds start making appearances, while shows like Don’t drive here ( a show where a guy goes to third world countries so he can insult their roads while praising developed countries) are also making an appearance on channels like Discovery. It’s not like they have the appeal of Car SOS ( it’s a show about vintage cars) or the abrasive manner of Jeremy Clarkson the Shakespeare of cars. The fact is I can do without the increasing dose of reality Television. My girlfriend makes me watch enough Idols and X-factor to sate that need. The second complaint is why do Zimbabweans have to pay more than the South Africans when we get fewer services and Channels? South Africans enjoy more perks. 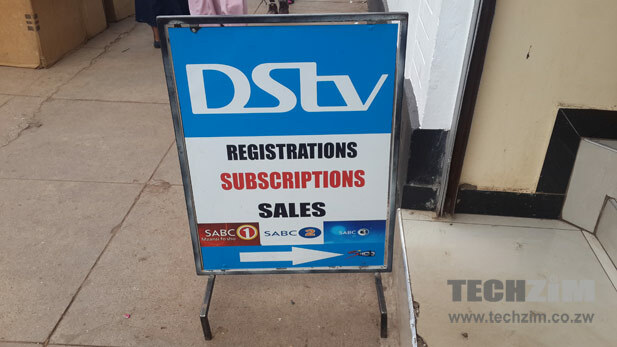 For example, they get early access to services like connected Box Office, access to cheaper hardware (which MultiChoice’s agents here sell for as much as 100%+ above SA prices without the operator doing anything about it), Hire Purchase deals that allow people to buy decoders by paying monthly fees, DStv mobile etc. They even have their own Big Brother! *Xtraview charges are not levied when a customer has already paid PVR access fees. Can you believe it? $57 dollars for premium access compared to $81 which equates to a $24 for what is essentially less! Call it what you want I call it outrageous. And no this is not Nigel’s April fools day price list either. People are going to talk about this being a temporary difference created by a fall in the value of the Rand, but the Rand has been weak for almost a year now. During the Zim dollar days, bouquet prices changed quickly to reflect a fall in the value of the Zimbabwean dollar against the Rand and now we are on the appreciating end and we don’t get anything. I think these issues especially the pricing issue needs to be addressed urgently or some regulator has to step in. What are your qualms own with DStv? Very good read, you pulled my thoughts and sentiments right out of my head. Especially about reality tv. I stopped paying dstv after discovering that I only watch football and news out of the compact package. The rest of the content I do not need. Went to ZOL fibre $39 (could have gone to Telone $25) where I read and watch news online and also watch soccer online! I also get much more. makes for great reading as usual Gari, but I disagree on regulators needing to step in. This is a private company providing an entertainment luxury. No one is forced to buy. I disagree that providing international news and digital news qualifies as a luxary it ceased to be a luxury eons ago ever since every other nation on earth embraced digital technology. While cars were thought of luxuries back then it would be odd for people to walk from Chipinge to Harare nowadays meaning vehicles have become an intergral part of our lives and in the same manner Digital Entertainment is now part and parcel of our our lives. I am all for private businesses but monopolies like DSTV have a tendency to indulge in exploitative behaviour hence the need for their regulation in every circumstance. How did you beat me to that point Gari? Now, this is not to say if people decided to collectively boycott for this and other reasons, DSTV will be forced to introspect. Private or not. But, they dont need regulation. The major difference between these cars sellers and DSTV is that DSTV is a virtual monopoly also when are people going to stop thinking of good TV as a luxury?! I suppose sometime during the last century clothes that were once thought as luxuries became sort of a necessity and I think with each passing day good TV is becoming an important part of our lives. lays are cheaper than willards. I enjoy local hangu so willards especially cheese and onion. Its not entertainment luxury considering that we also want news and learning channels and the alternative is ZTV! I would say the way they repeat those Tyler Perry movies!! I love Tyler but I dont wanna watch Diary of a Mad Black Woman 10+ times per year – year after year – where are the new movies??? I have stopped paying my DSTV and am now streaming off the internet with cheap ZOL fibre (theres a free ad for you ZOL). Cricfree, yify-streaming and youtube cover a lot of bases until Netflix decide to come to Zim! Thank you BabaB for the advice.Being a ZOL subscriber,I am certainly taking your advice on streaming off the internet.Adios DSTV! This piece is so objective, I never took time to observe this anomaly. Thanks man. Reality tv shows are growing in prevalence because a) they are cheaper than traditional shows to produce/licence and b) for some reason thats beyond me, they keep eyeballs on the screens and bums on the sofas! If Dstv would unbundle their channels it would be a great boost in value for most people. Imagine subbing to just the 3 or 4 channels you actually watch, adding to them as and when content you want to watch comes up (like tournaments)!